On first glance of a car it's easy to overlook the small details. You see the headlamps, the hood, the roofline, the wheels. But the small details are what makes a pretty car truly beautiful. 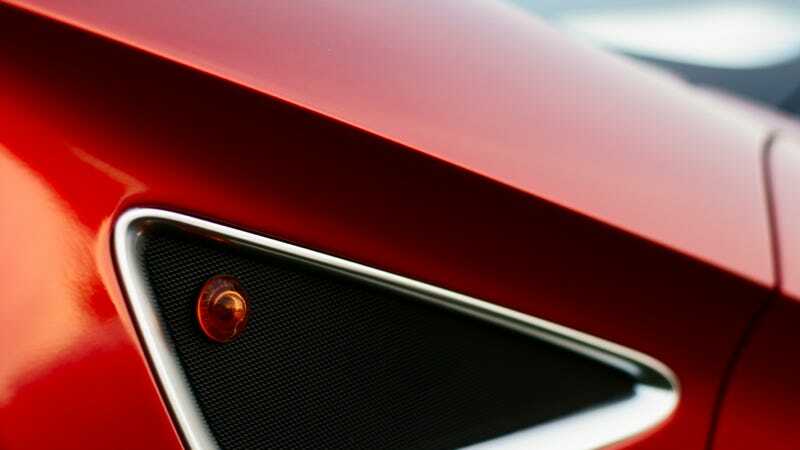 Like this sharp crease and overhang on the Alfa Romeo 8C Competizione. The crease extends from the front wheel arch on back into the door, recalling the front fenders of the original Alfa Romeo 8C. But that's the kind of small detail that a person would forget when you ask them to describe the car. "That crease, just from the top of the wheel straight across the door," comes usually on the list right after "it's got door handles" for the average person, but it's the kind of thing a connoisseur appreciates. And connoisseurs appreciate Alfa Romeo. Photo credit Flickr user 246-You. Used under Creative Commons license. For more of their work, check out their Flickr page. For a desktop version, click here.